ISLAMABAD, Aug 30 (APP): A new rain spell, thunderstorm accompanied by gusty winds with isolated heavy falls is expected at scattered places of upper parts of the country in next 24 hours. Thundershower is forecast at upper Punjab, upper Khaber Pakhtunkhwa, Northeast Balochistan (Quetta, Kalat, Zhob, Sibbi, Nasirabad divisions), FATA, Gilgit-Baltistan and Kashmir, while at isolated places in South Punjab and upper Sindh. Weak Seasonal Low lies over North Balochistan. A fresh westerly wave is also likely to enter upper parts of the country tonight and likely to affect upper and central parts of the country during next 02 to 03 days, Meteorologist Muhammad Ayaz told APP. 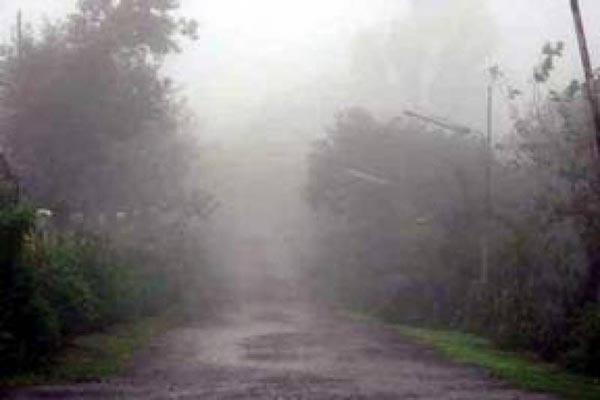 He said the monsoon current are penetrating eastern parts of the country, adding that the rains pell is expected to be of moderate intensity which may cause land sliding at few areas. In last 24 hours rain-thunderstorm occurred at scattered places in Lahore, Gujranwala, Rawalpindi, Sargodha, Malakand, Hazara, Peshawar divisions,Islamabad, Gilgit-Baltistan and Kashmir. Mandibahauddin 73mm, Mangla 45mm, Lahore (City 37mm, A/P 15mm), Sargodha (City 35mm, A/P 27mm), University of Punjab 16mm, Rawalpindi (Chaklala 19mm, Bokra 06mm, Shamsabad 02mm), Islamabad (Saidpur 10mm, Z.P 04mm), Gujranwala, Chakwal 09mm, Jhelum 07mm, Sialkot (cantt) 06mm, Murree, Joharabad 01mm. KP: Risalpur 31mm, Balakot, Dir 10mm, Malamjabba 09mm, Saidu Sharif 08mm, Kalam, Lower Dir 05mm, Peshawar (city) 03mm, Kakul 01mm. Kashmir: Muzaffarabad 12mm, Rawalakot 08mm, Garidupatta 06mm, Kotli 01mm. Gilgit-Baltistan: Astore 03mm and Skardu 01mm. Maximum temperatures recorded on Tuesday were Turbat 43øC, Dalbandin, Nokkundi, Bhakkar, Noorpurthal 40øC, Peshawar 38øC, Hyderabad, Faisalabad 36øC, Multan, Quetta, Gilgit, Islamabad, Karachi 35øC, Muzaffarabad, Lahore 34øC, Chitral 33øC, Dir, Kalat 31øC, Hunza 25øC, Murree 24øC and Skardu 22øC.